The Republic of Croatia, or Republika Hrvatska, extends in a crescent from the plains of the Danube, Drava and Sava Rivers in the east to the Gulf of Venice in the west and then southward along the Adriatic Sea to the border of Montenegro. 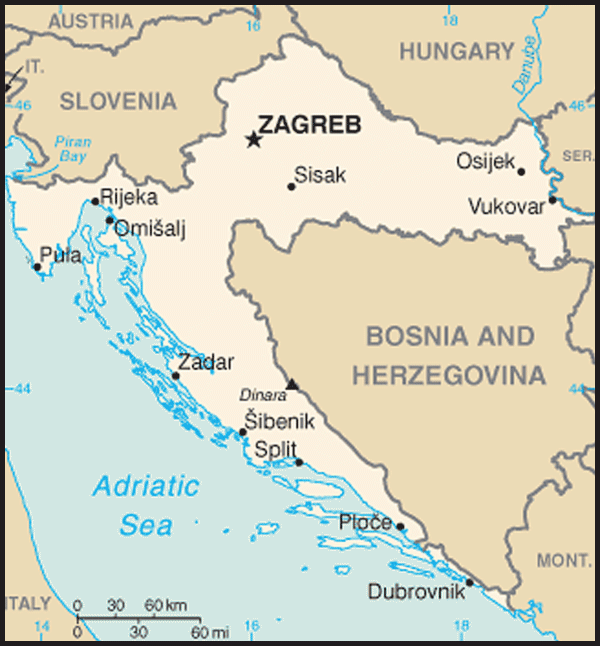 Croatia is bordered by Slovenia, Hungary, Serbia, Montenegro and Bosnia and Herzegovina. Its extensive Adriatic coastline on the south-west includes nearly 1,200 islands and islets. According to the first results of the Croatian census conducted in 2011, the Croatian population is 4,290.612. 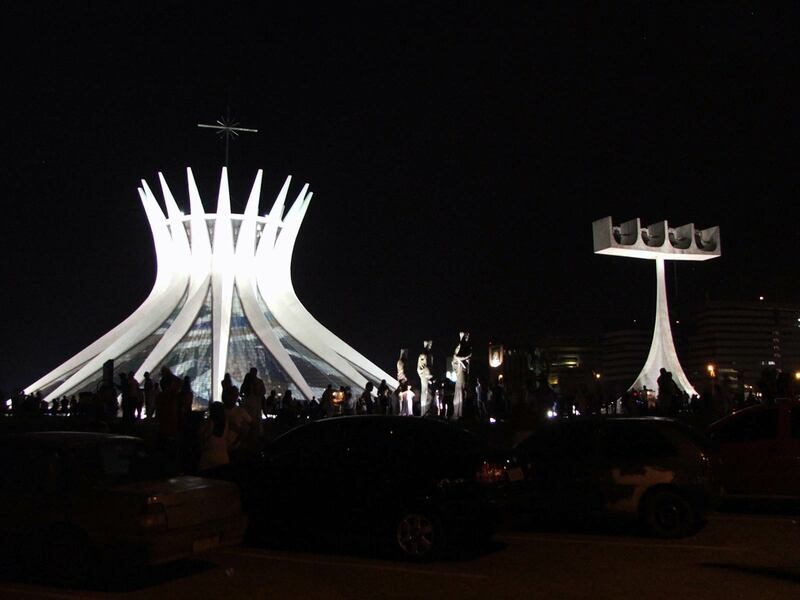 In comparison with the previous census (conducted in 2001) the population has decreased by about 150.000. Further results on the ethnic and religious profile of Croatian inhabitants are expected to be published in the first half of 2012. The Republic of Croatia is a parliamentary democracy. The President of the Republic is the Head of State, directly elected for a five year term. The President is also Commander in Chief of the Armed Forces and participates in foreign and national security policy decision-making and in the appointment of the heads of the intelligence services. The current President, Dr Ivo Josipovic, was inaugurated on 18 February 2010 following Presidential elections in December 2009 and January 2010. Dr Josipovic, the Social Democratic Party candidate, won the elections with a convincing victory, taking 60.3 per cent of the vote. The legislative branch of government is a unicameral assembly (the Hrvatski Sabor). The current parliament has 151 seats with 140 deputies elected from the political party's lists in ten constituencies, three deputies elected by districts for Croatian citizens living abroad (the so called "Diaspora" district) and eight deputies elected as representatives of national minorities. Members are directly elected by popular vote and serve four year terms. Parliamentary elections were held on 4 December 2011. After eight years in power, the Croatian Democratic Union (HDZ) lost the parliamentary elections. Together with its coalition partners - the Croatian Citizens' Party (HGS) and Democratic Centre (DC) - it won in only three electoral districts, gaining 47 seats (down from 65 in the previous parliament). The undisputed winner was the centre-left "Kukuriku" coalition comprised of SDP (Social Democratic Party), HNS (Croatian People's Party), IDS (Istrian Democratic Assembly) and HSU (Croatian Party of Pensioners). The "Kukuriku" coalition won in eight out of the twelve electoral districts, gaining 80 seats (up from 63 in the previous parliament) and an outright majority, which enabled them to form a new government. The remaining 24 seats were won by 5 newly-formed, regional and/or independent parties and a handful of national minority representatives. Led by the Prime Minister and President of SDP (Social Democratic party) Zoran Milanovic, the coalition government was sworn in on 23 December 2011. On 30 June 2011 Croatia's conclusion of EU accession negotiations begun in October 2005 marked a historic moment for the country. On 9 December 2011, the Republic of Croatia signed its European Union (EU) Accession Treaty in Brussels. In a referendum on EU accession held 22 January 2012, 66% of voters supported EU integration; the parliament of Croatia and the parliaments of EU member states must now ratify the EU Accession Treaty in order for Croatia to join as the 28th EU Member state on 1July 2013. Croatia joined the North Atlantic Treaty Organisation (NATO) at its 60th Anniversary Summit in April 2009. Croatia currently has five personnel deployed in a NATO Provincial Reconstruction Team in Afghanistan (led by Hungary) and five police officers in the UN police (UNPOL) in East Timor. Croatia also has 131 military and police officers deployed in nine UN-led missions; six police officers in two EU-led missions (EUPOL and EULEX) and 317 military officers in a NATO-led mission (ISAF) in Afghanistan. In October 2007 Croatia was elected as a non-permanent member of the UN Security Council for the 2008-09 term. Croatia is a member of the International Whaling Commission where it supports a pro-conservation position. Formerly a republic of the Socialist Federal Republic of Yugoslavia (SFRY), Croatia declared its independence from SFRY on 25 June 1991. Fighting soon broke out in the east of the country as Croatian Serbs, with the help of the Yugoslav National Army, expelled Croats from the area. 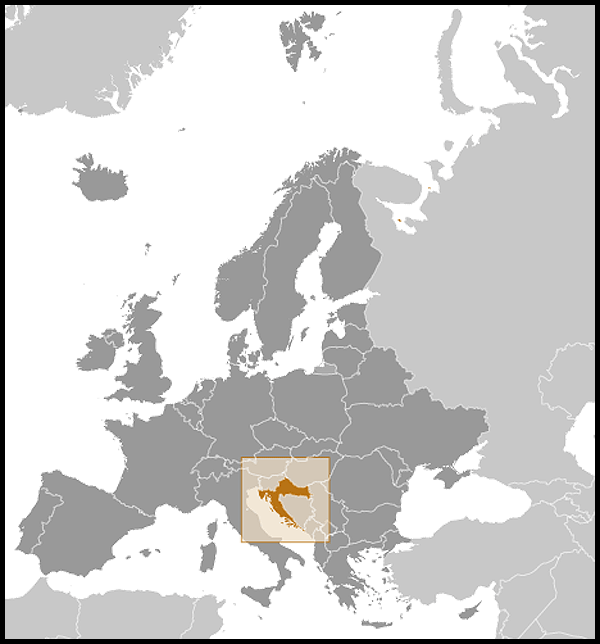 By the end of 1991 the Serbs controlled nearly one-third of Croatian territory. Despite deployment of a UN peace-keeping force in 1992, fighting continued until the end of 1995, during which period Croatia also became involved in the war in Bosnia-Herzegovina (BiH). Croatia agreed to the peaceful reintegration of Croatian provinces that remained in dispute in 1995. A year later, then-President Tudjman was one of the signatories of the Dayton peace accords which ended the war in BiH. On 15 December 2002, UN peacekeepers withdrew from the Prevlaka Peninsula giving control of all sovereign Croatian territory to the Croatian authorities for the first time since independence. The then-governing SDP Coalition introduced reforms in 2000 to rebuild the economy after the conflict. These reforms continued under the HDZ led government and accelerated following commencement of EU accession negotiations. A large part of the economy has been privatised and the small and medium-sized enterprise (SME) sector has significantly expanded. Of the forty-three banks in Croatia, the share of foreign ownership is greater than 90 per cent and includes two-thirds of banking assets. Military expenditure has been significantly reduced in line with commitments made to cut the levels of military personnel. Croatia's largest trading partners are Italy, Germany and Slovenia. Foreign Direct Investment (FDI) in Croatia has been low compared to other countries in the region and new or green-field investments have seen particularly slow growth. Privatisation of strategic government-owned assets has been the main source of FDI since Croatian independence. In 2008 a record EUR 4.2 billion FDI was attracted, while in 2009 FDI flows fell to EUR 2.1 billion. In 2010 and 2011 FDI flows into Croatia were at historically low levels. In 2010 FDI amounted to only EUR 226.6 million. The disappointing trend has continued in 2011, with FDI for the first quarter totalling only EUR 128.9 million. According to the Croatian National Bank, Austria is the largest source of foreign investment in Croatia, accounting for 25.2 per cent of total FDI since 1993. The Netherlands is the second largest with 15.2 per cent of total FDI, followed by Germany with 12.6 per cent and Hungary with 9.2 per cent. Croatia is also investing in its national infrastructure in order to make the country a key transit and economic hub for the region - a network of first-class highways is nearing completion and will link ports to markets in Croatia and elsewhere in Europe. Barriers to investment, particularly 'greenfield investment', remain, including slow implementation of land administration reforms and ongoing problems relating to corruption. Although it has a smaller population than a number of its neighbours, Croatia is geographically central to the key markets of Germany and Italy by virtue of its land borders with Slovenia, Serbia, Montenegro and Bosnia and Herzegovnia (BiH). Trade relations with these neighbours have improved with the expansion of the Central European Free Trade Agreement (CEFTA), which regulates trade relations among countries of South East Europe. CEFTA entered into force for Croatia on 22 August 2007. The gradual normalisation of relations between these former Yugoslav republics has also encouraged the re-emergence of former Yugoslav brands and familiar labels, arts, music and culture to boost and stabilise the economy. Together the populations of Serbia, Montenegro, Croatia and BiH make up a market of 16 million people. Croatia has a population of 4,290 million, a GDP of EUR 45.9 billion and a GDP per capita of EUR 10,380 (2010 indicators). Principal export destinations are Italy, BiH and Germany, while the main import sources are Italy, Germany and Russia (see Croatia- Fact Sheet). In 2009, the economy was seriously affected by the global financial crisis, with a drop in GDP of 6 per cent in 2009, while in 2010 GDP fell by 1.2 per cent. The average annual inflation rate dropped from 2.4 percent in 2009 to 1.1 per cent in 2010. The slowdown in consumer price inflation occurred under conditions of weak domestic demand, reduced imported inflation pressures, a slowdown in the growth of unit labour costs and a stable Kuna/Euro exchange rate. Despite previous announcements that the budget deficit would be close to zero, it reached 4.2 per cent of GDP in 2010. The average unemployment rate in 2010 remained high at 17.6 percent, an increase from 14.9 per cent in 2009. Significant social inequality remains in Croatia, with the GDP per head in Zagreb — the richest region — much higher than regional, particularly war-affected, areas. External debt has been rising over the past decade, increasing from 67.8 per cent of GDP in 2002 to about 99.7 per cent of GDP in 2010, reaching 45.8 billion at the end of 2010. Croatia experienced a current account deficit of 5.2 per cent of GDP in 2009, while at the end of 2010 the current account deficit was 1.1 per cent of GDP. Croatia's budget deficit and high external debt represent its main financial challenges at present. Australia recognised Croatia on 16 January 1992, following its declaration of independence on 25 June 1991. Diplomatic relations were established on 13 February 1992 and the first Australian Ambassador to Croatia (resident in Vienna) presented credentials the following month. On 21 September 1992, an Australian Consulate was opened in Zagreb. Australia opened an Embassy in Zagreb in October 1999. At the heart of the bilateral relationship are the personal links built by the large Croatian community in Australia, the largest national group from the former Socialist Federal Republic of Yugoslavia (SFRY). This helps generate a significant two-way flow of visitors. The 2006 census recorded 50,990 Croatia-born persons in Australia, and 118,051 persons claiming Croatian ancestry. The Croatian Diaspora is eligible to vote in Croatian presidential and parliamentary elections. Early migrants from Croatia mainly originated from Dalmatia. Following a brief hiatus, migration resumed in the 1920s from the regions of Medumurje and continued until the Second World War. Post-Second World War immigration can be divided into four phases. The first was made up mainly of members of the defeated military forces and refugees and continued up to the 1960s. The largest group ever to reach Australia arrived during the 1960's, when then-Yugoslavia opened its borders. Between 1961 and 1976 almost 100 000 Yugoslavia-born people took advantage of this opportunity, including a number who arrived under a Residence and Employment agreement with Yugoslavia finalised in 1970. Migration to Australia during the third phase in the 1980's was mainly through family reunion programs and the skilled migration program. The fourth phase was largely made up of Croatians from Bosnia-Herzegovina escaping the conflicts of the 1990s. Since 1991, almost 30 000 settlers from former Yugoslavia have migrated to Australia, mostly under Australia's Humanitarian programme. On 13 May 2003, the Australian and Croatian Governments signed a bilateral social security agreement to give improved social security protection to people who have lived and/or worked in both Australia and Croatia. The Agreement came into effect on 1 July 2004. Among other things, the Agreement provides that Australian employers do not have a double liability for certain social security payments for Australian employees in Croatia. Specifically, Australian employers will be exempted from the need to make superannuation (or equivalent) contributions under Croatian law where an employee has been temporarily seconded to Croatia, provided the employee remains covered in Australia by compulsory superannuation arrangements. Further information, including on how to obtain a certificate of coverage is available from the Australian Taxation Office (http://www.ato.gov.au/superprofessionals/content.asp?doc=/content/46337.htm) website. On 8 December 2004, the Australian Government amended Australia's extradition legislation in relation to Croatia. The Extradition (Croatia) Regulations 2004 simplify the requirements for Croatia when making an extradition request to Australia. In February 2007, Australia and Croatia finalised air services arrangements, including a Memorandum of Understanding and text of an Air Services Agreement to be recommended to respective governments. The arrangement will enable airlines of both sides to operate daily services between Australia and Croatia and help to expand tourism and commercial links. Significant visits to Croatia from Australia include a nine-member Australian Parliamentary delegation in October 2008 led by the President of the Senate, Senator the Hon John Hogg, at the invitation of Croatian Speaker of Parliament, Mr Luka Bebic. The Governor of New South Wales, HE Marie Bashir, visited Croatia in August/September 2007 at the invitation of Croatian President Mesic. The Western Australian Minister for Education and Training, the Hon Mark McGowan MLA, visited Zagreb in April 2007. Members of the Trade Sub-committee of the Joint Standing Committee on Foreign Affairs Defence and Trade visited Croatia in April 2003 as part of the inquiry into expanding Australia's trade and investment relations with Central Europe. An Australian Parliamentary delegation led by then Speaker of the House of Representatives, the Hon Neil Andrew, visited Croatia in April 2001. Significant visits to Australia from Croatia include then-Minister for Foreign Affairs and European Integration, Ms Kolinda Grabar-Kitarovic in October-November 2005; Ms Vesna Pusic, then-Deputy Speaker of the Croatian Parliament in June 2004; a Parliamentary delegation led by then-Speaker of the Croatian Parliament, Mr Zlatko Tomcic, in June 2003; Mr Antun Vujic, then-Minister of Culture in March 2003; Mr Bozidar Pankretic, then-Minister of Agriculture and Forestry in May 2002; and Mr Tonino Picula, then-Foreign Minister in August 2001. Bilateral trade between Australia and Croatia is small. In 2010-11, two-way merchandise trade was A$42 million. Australian exports to Croatia amounted to A$17 million, while imports from Croatia totalled A$25 million. Australia's trade in services with Croatia is negligible. Principal imports from Croatia include specialised and electric power machinery and parts, edible products and preparations, and prepared and preserved meats, while Australia's principal export to Croatia is coal. Opportunities for Australian exporters exist in the shipping sector, infrastructure, agribusiness, innovative technologies, water management and sectors relating to tourism. The largest Australian investment in Croatia is co-ownership of the five-star Le Meridien Hotel Lav in Split which was opened by the Croatian Prime Minister in December 2006. Cochlear, the maker of bionic hearing devices, has established itself as a major player in the ear implants market in Croatia.